“It’s what happens after the research that’s important” is something I found myself saying three times to three different people in three different contexts over the past couple of days. Anyone can go out and interview users and beneficiaries. What’s important is what happens during the Analysis phase. To ponder this in detail, I wanted to go back to first principles, and drill down into the post research stage where we are expected to frame our insights. It is this stage that distinguishes the quality of the outcome. Now, in the case of our work in the informal economy operating environment, we have built up an overview of the landscape over the past several years, primarily through immersion and thick data collection using design ethnography methods. Starting from the purchasing patterns and buyer behaviour of low income consumers, back in early 2008, all the way through to the development of guiding principles such as flexibility, we have explored and mapped the ecosystem from numerous vantage points. 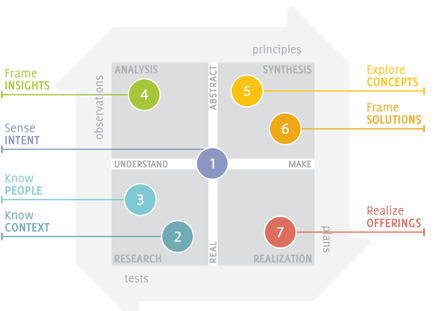 Today, our synthesis of user research does not happen in isolation from the body of work – intellectual property – that has been developed over time, through experiential and practical knowledge. This, then, is what underlay my conviction when I spoke about the importance of the quality of interpretation of the data, and the transmutation of these interpretations into implemented insights in the form of new product features, service design elements, or nuances of the payment plan in the business model. Increasingly, the Frame Insights phase of our work has led to the evolution of our understanding of the commercial landscape in rural and informal markets where incomes tend to be irregular and volatile, and infrastructure is inadequate or missing. It is this that I’ve been attempting to capture under the category of Biashara Economics. It’s not Africa specific. The patterns hold, give or take ~30% margin for historical/cultural/social differences, across continents. That is because these patterns are the natural response to the common characteristics of seasonality, volatility, uncertainty, and unpredictability. And this is why one can see the success of the prepaid business model around the world. It strikes me here that this in fact validates the methodology and approach to exploration and discovery in unknown contexts, something I had framed as the starting point for the very first such project almost a decade ago. Over time, I discovered how much the methods, as delineated by Vijay in Chicago, had to be adapted for the context but that is a topic for another time. From a rural population that is fast going online to the resourceful teens in urban slums, the lower income demographics are choosing to buy internet, through small but recurrent amounts, which enable them to straddle the line between affordability and aspiration. 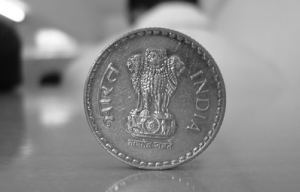 The small but recurrent amounts – the Rs 10 mobile recharge Janu writes about – are the lifeblood of the prepaid payment plan for voice, text, and data (airtime) for the now ubiquitous cellphone that has changed the landscape of the developing world. 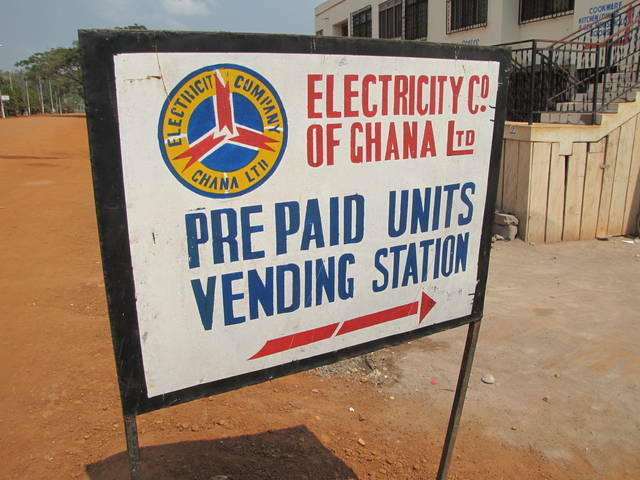 Prepaid is a business model that empowers aspiration, through affordability, incrementally. Instant gratification has never been within their purview. As Kenya joins Zambia and Zimbabwe in ratifying a Movable Property Security Rights Act, there’s a sense that the floodgates to innovation in access to finance might be taking place in rural Africa, south of the Sahara and north of South Africa. 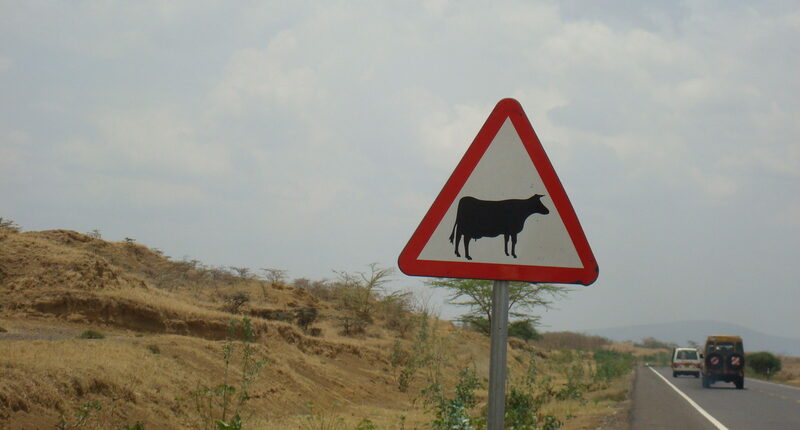 Kenya’s law also goes beyond the cows and goats and allows a borrower to collateralise future receivables arising from contractual relationships. How it ends up being implemented will set the stage for the next big disruption in financial inclusion. In the meantime, let’s take a closer look at the opportunity space for innovation in the informal and rural economy that dominates these operating environments. Last night, a tweet by Charles Onyango-Obbo struck me forcibly, and reminded me of our Banking the Unbanked proposal crafted for ICICI back in January of 2007. The very fact that contemporary thoughtleaders in the Kenyan banking industry are unable to take the concept of livestock as collateral for loans seriously, taken together with the deeply embedded assumptions of the formal economy’s financial structure leaves the door wide open to disruption. It would not be too difficult to conceptualize a rural, co-operative bank custom designed for the local operating environment. In Kenya, where the mobile platform provides clear evidence of the viability, feasibility, and desirability of innovative financial tools and services that work for irregular income streams and provide the flexibility, reciprocity, and negotiability inherent in the cooperative local economies, such a bank could change the social and economic development landscape overnight. In fact, one could conceivably foresee this “bank for rural Africa” scaling far beyond Kenya’s borders. The domino effect of disruption in the banking sector should kickstart the stagnant insurance industry that has been ineffectually attempting to scale outside of the formal economy’s neatly defined boundaries. 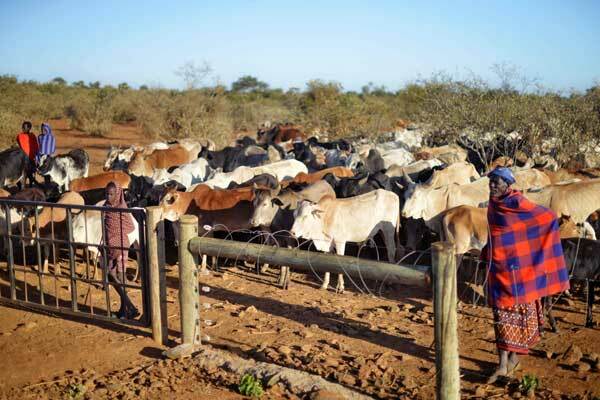 Bankers willing to take livestock as collateral for loans will therefore require insurance on their movable asset as a surety against the risk of disease, or drought. Current products tend to emerge from the international aid industry, seeking to insure smallholder farmers against the shock of losing their livestock to climate related disasters such as prolonged drought, or an epidemic of illness. There is a dearth of relevant and appropriately designed insurance products from the private sector targeting the needs of the rural economy. 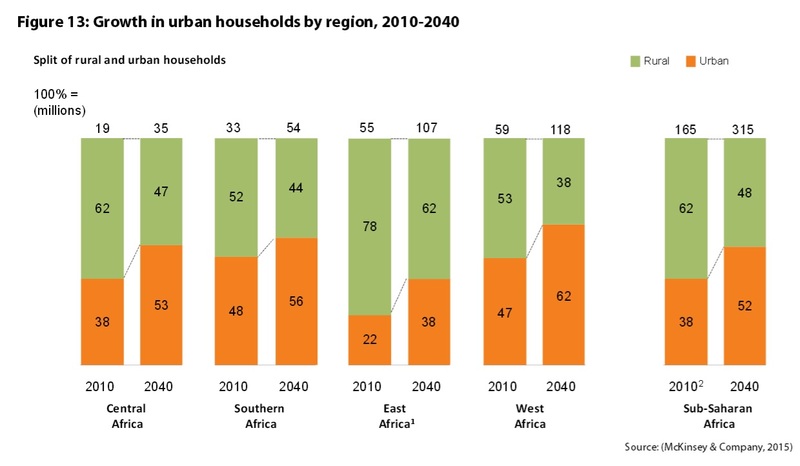 For all the talk of African urbanization, even the most optimistic projections show that East Africa’s rural population will continue to dominate. Thus, this an opportunity ripe for the plucking, given the right mix of product, pricing, and promotional messaging. Whether it is Kenya’s significant non profit sector or the nascent consumer oriented markets, the redrawn lines defining assets, collateral, and the floodgates of access to finance will require a complete overhaul in the way the population is segmented and measured. Once these hundreds of movable assets have been valued, insured, and registered officially, even the most reluctant banker must now count the pastoralist among his wealthiest local clientele, able to draw a line of credit against his true wealth to the tune of thousands of dollars without feeling the pinch. From mabati for a new roof and simti for the backyard wall, to the latest model smartphone or pickup truck, the concurrent boom in investments and consumption provides an ample playing ground for new products and services tailored for the contextual needs upcountry. Finally, Farmer Joe can install that solar powered irrigation pump for his orange groves in time to reap the next big harvest. And Mama Mercy can think of building up a nest egg of investments faster from the income provided by her farmyard animals. This might turn out to mean upgrading to a breed of high yield milch cows or being able to provide them with better quality feeds and medicines, but the financial bridge that a well designed strategy leveraging this movable assets bill and it’s timely implementation could mean the difference between the brass ring or treading water. Given that the Kenyan Movable Property Security Rights Act 2017 goes beyond livestock to include other stores of wealth and value creation, there will be an undeniable impact on regional and cross border trade. No trader will give up the opportunity to leverage their existing inventory if it qualifies for additional credit that can be plowed back into the business. Trader’s mindset and the documented biashara growth strategies already in evidence point clearly to the productive economic use of this access to finance rather than passive consumption alone. As their business grows, they will require a whole slew of tools and services tailored to their needs. This could be as simple as a basic book keeping app or as complex as customized commodity (assets, livestock, non perishable foodstuffs, grains and cereals) exchange platforms that integrate the disruptive new services percolating through the entire ecosystem. These few steps outlined above are only the beginning of laying the foundation for disrupting the current social and economic development trajectory of small town and rural Kenya. I see immense potential for both direct to consumer as well as business to business segments for forward looking organizations seeking a foothold in the burgeoning East African markets. We, at Emerging Futures Lab, would be pleased to offer you customized white papers on the opportunities for new products, services, and even business models, based on this emerging financial environment recently signed into law by President Kenyatta. 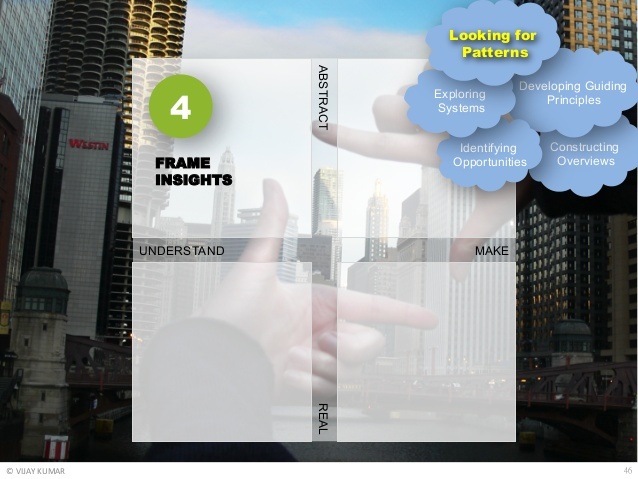 Contact us for an exploratory conversation on the scope and scale of your particular industry’s needs. Our experienced team can help you maximize these opportunities from concept design and prototyping all the way through to path to market strategies. 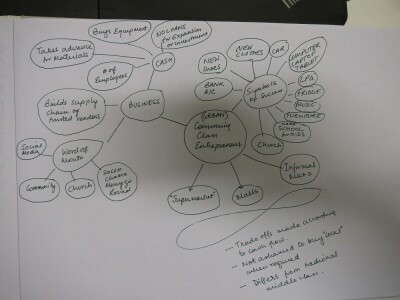 There is a lot to be unpacked here – I made a mindmap of the urban African entrepreneur who is the backbone of the visible emergence of a consumer class. I’m drawing from my experience of the Kenyan context. I started this in response to Michael Kimani’s Storify recently on the mythical “middle class” and the African consumer market. 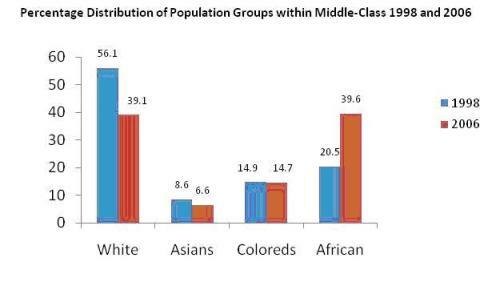 We know that this demographic, regardless of the efforts to label it “middle class”, is quite unlike the traditional bourgeoisie that built the developed world a century ago. We can call them the informal bourgeoisie – solid members of society who nonetheless break stereotypes of the white collar, university educated, salaryman. More often than not, they are entrepreneurs and businesswomen, traders and makers, and workshop owners, who bootstrap their lines of business through the traditional means available amongst what is still called the informal economy. If they’re lucky they might have finished high school, or even graduated from university, but a degree is not a prerequisite as it might be in a private sector job. In this post, I’m only going to write about something that struck me last night when I was staring at the mindmap. The line that links business to entrepreneur can also be considered a bridge between the informal economy and it’s business practices, and the upcoming formal markets of urban population centers. The successful workshop owner or regional trader rapidly acquires the signals of his or her business success in the form of consumer goods and increased expenditure on staples and necessities, including upgrades to choice of schools and church. I believe that formal financial services and products such as bank accounts, credit cards, and various apps on a smartphone are part and parcel of this. In effect, the entrepreneur is the link between the informal economy which provides employment and income to the vast majority, and the burgeoning formal sector in consumer facing services and products. The formal economy is more likely to be dependent upon the health of the informal sectors than the reverse. This interdependency, and relationship, is important. I will be coming back to this diagram again to unpack more of what I’m seeing here. For now, it’s enough to have figured out that initiatives meant to eradicate the “pesky” informal trade might have greater implications than initially assumed. Latest news on India’s demonetization informs us how the rural economy is bearing the brunt of this initiative. The action was intended to target wealthy tax evaders and end India’s “shadow economy”, but it has also exposed the dependency of poor farmers and small businesses on informal credit systems in a country where half the population has no access to formal banking. The details shed light on the consequences of implementing interventions without a holistic understanding of the landscape of the operating environment. In this case, it is the rural, informal cash intensive economy. …the breakdown in the informal credit sector points to a government that has failed to grasp how the cash economy impacts ordinary Indians. “It is this lack of understanding and not appreciating the importance of the cash economy in India on the part of the government that has landed the country in such an unwarranted situation today,” said Sunil Kumar Sinha, an economist and director of public finance at India Ratings. This lack of understanding the dynamics of the cash economy (I don’t mind calling it the prepaid economy, in this context) and it’s role in the rural Indian value web has led to unforeseen challenges at a time when farmers are planting seeds for the next harvest, hampering the flow of farm inputs as traditional lines of credit face the obstacle of an artificial shortage of liquidity. I want to use this clear example of systems design failure to explain my philosophy and approach to our work in the informal economies of the developing world. I’ve written often enough about what we do, now I have an opportunity to explain why we do it, and why it’s important. The flurry of commentary on the Great Indian Demonetization of November 2016 has thrown up some nuggets of insight worth considering more deeply. 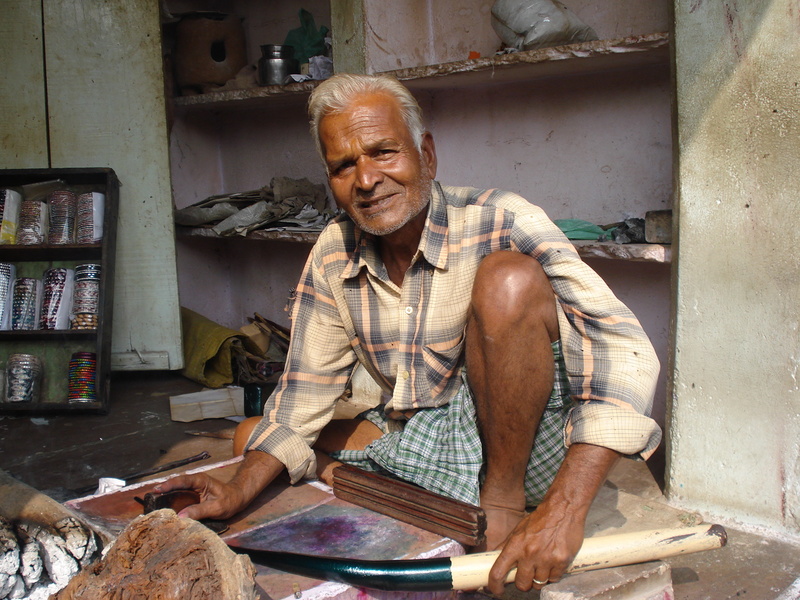 Santosh Desai explores the psychology of cash money in the Times of India blog, linking the need for tangible evidence of income to physical labour, as opposed to those of us with the contextual knowledge to understand the virtual concept i.e. digital currency. This aspect has not been looked at deeply enough, imho, when financial inclusion is talked about, particularly in the context of digital solutions. I suspect that therein will lie behavioural insights that could conceivably drive design changes that lower the barriers to adoption in the strategies to introduce digital currencies and mobile monies to hitherto unbanked populations. Earning money needs to be signified concretely. Those whose life’s earnings are in the form of a few high value currency notes, do not decode demonetization in quite the same way as those used to money in its conceptual form. The idea that it is possible to de-legitimise their life’s labour is to shake the foundations on which one’s life is constructed. What if some money is not exchanged? What if some paperwork, that bane of those living on the margins, is incomplete? What if the mobile phone’s battery dies? Do my hard earned monies disappear like other unsaved data? Trust in technology is a function of our contextual knowledge – our immersion in an environment saturated with electronic communication and screens of all types and purposes provides us with conceptual frameworks that are entirely different from someone whose daily labour is on the farm, or at a mechanic’s garage. While those who are financially excluded might not face demonetization i.e. the de-legitimization of their labour, as Desai mentions above, the current attempts to convert their cash intensive habits into digital form via various “cashless” initiatives overlook the psychology of cash. Regardless of locale, those at the margins (the excluded) have high levels of mistrust in the system, through their experiences with institutions and the system, over time and history. The talk of ‘cashless’ is easy, but it ignores that there is a cultural dimension to the physicality of cash. Digital wallets operate on a transfer of intention, where a promise to pay gets converted into an intention to buy. For this to work at scale, one needs to have become comfortable with the idea of surplus and develop the confidence that money will come without having to struggle or having to think about it all the time. One needs to develop trust in institutions, in a context where the evidence around is overwhelmingly to the contrary. I suspect that if this subject was explored further, we would discover that where mobile money has succeeded, such as in East Africa, the institution that was trusted was the telco – the mobile service operator, and that the early stages of adoption have a different narrative from that being used currently in entirely new markets where mobile money still struggles to penetrate. India and South Africa are two such places where the unbanked and the financially excluded have reasons of history to develop high mistrust of the systems of the privileged. To convert one’s worth into worthlessness, even if for a small period is to make everyone nervous. Psychologically, money works on a convention of mutual deception. We agree to call something money, and that is good enough. But to have the thinness of this convention exposed in such a way is to cause great anxiety. The transition to a cashless future can be made gentler and more accommodating to their fears and concerns, generating a sense of security and commitment, with some empathy for an entirely different world-view and life experience. In this post, I try to understand the root cause of the disconnect between how the customer (who defines the value), Uber (the service that controls the experience) and the driver (the one who provides the service). 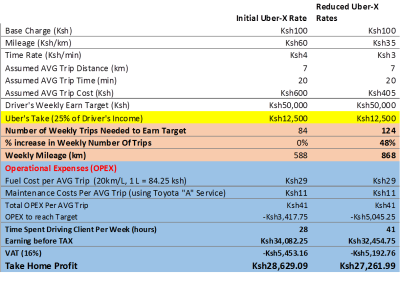 He accompanies his analysis with a detailed breakdown of costs and revenues, such as the table below, and others in his post. The incentive for any person who starts a business is to maximize their profits. As such, we should expect that Uber drivers will approach their business in the same vein. However, the data provide by Uber to the driver is limited and prevents them from making informed decisions about generating revenue. For example, drivers do not know the estimate distance of a new trip when they accept it via the app. They are also penalized for not accepting rides (even if that trip may not make financial sense to the driver). All this is by design as Uber wants to maintain a steady supply of “online” vehicles on their network. One may argue that Uber is not being transparent enough with its independent contractors. 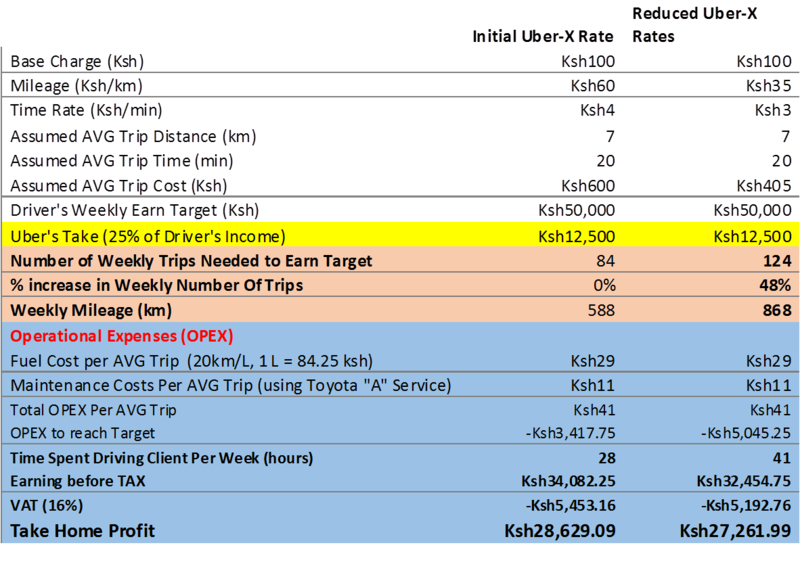 Nairobi, Kenya isn’t the only ‘developing’ country context where Uber is creating unhappy drivers (and customers, one assumes) due to the design of their system. While most of the first world challenges to the company have come from the perspective of the formal economy and its regulations and laws regarding revenue, tax, employment status et al, the same cannot hold for the entirely different operating environment where the informal sector holds sway. And taxi driving is one such service. Uber drivers are reportedly leaving the service, switching off the Uber apps or not picking calls from corporate clients and those paying with a credit card. For the first four months after its launch, Uber was offering drivers incentives that saw them earn between Ush200,000 ($57.1) and Ush350,000 ($100) a week. With increasing competition, drivers say that Uber’s incentive structure has been changing. In the first four months, Uber drivers were getting Ush15,000 (about $4) per hour, but this has since been scaled down to Ush10,000 ($2.9) and to Ush4,000 ($1.1) in incentives. There is so much to be unpacked here, including the entire section on Uber’s own perception of how the market works, upto and including how to introduce time limited incentives, that I’ll follow up on it subsequently. Uber’s commission in Nariobi was reduced from 25 to 20 per cent following protests by drivers in August, accusing the taxi hailing service of working them like slaves. As I wrote earlier in the year, Uber could have done so much more in these markets, particularly on the path to formalization. Instead, they’re continuing on their journey as yet another smartphone app making life even easier while squandering the potential for real world change for the less privileged members of our societies. As we saw, Mrs Chimphamba needs to juggle time and money as part of her household financial management in order to ensure that expenses can be met by income. We also saw that the mobile phone was made viable and feasible by the availability of the prepaid business model that gave her full control over timing and the amount required to maintain it — how much airtime to purchase? when? how often? — all of these decisions were in her hands, within the limits of the operator’s business model. Now, we’ll take a closer look at the impact of the mobile on her domestic economy. Readily available real time communication has helped Mrs C by speeding up the time taken for a decision on a purchase or a sale. That is, the transaction cycle has been shortened. As the speed of information exchange increases, it increases the speed of transactions — it shortens the duration of time taken to execute them from inception to completion. This, in turn, implies that more transactions can now take place in the same amount of time thereby increasing the frequency and the periodicity. When mobile money is present, one can see that as both quantity and frequency of transactions speed up, so does the cash flow. We’ll come back to this factor. To explain using a real life example, Mrs Chimphamba does not need to sit at her homestead wondering if today someone will pass by to purchase a bottle of wine. Similarly, Mrs C’s customers do not need to go out of their way to pass by her homestead to see if the wine is distilled and ready for sale, or whether it will still take another day or two for the next batch to be ready. Further, the uncertainty of whether they’ll have cash on hand on that future day, or if they’ll return as promised are all elements that real time communication have minimized. Now, Mrs C is able to let her regular customers know that she’s making a new batch for sale and do they want to reserve a bottle for purchase? It allows her customers to put aside cash for this purchase. She is even able to accept and execute larger orders for some future date, and even accept some cash advances if her operating environment includes the presence of a mobile money transfer system such as those more prevalent in East Africa. This in turn changes her purchasing patterns and decision making as the pattern of cash flows — timing and amount — changes. She isn’t making do anymore on an unknown and predictable sale based on sitting and waiting for someone to show up to buy her wine. Real time communication has improved the decision making cycle for both buyer and seller in a transaction as it counteracts uncertainty and information asymmetry even while speeding up the time take for a decision. As the quantity and frequency of transactions increase— first, in cash conducted face to face, and then later, remotely by mobile money, regardless of the size of each transaction — the change in cash flow patterns begins to smooth out the volatility (the uncertainty factor has changed completely) between incoming and outgoing, as well as the decisionmaking involved. That is, the gap between income and expense starts becoming less in terms of both timing and amount — there is the possibility of a steady stream in the pipeline. Calculus offers hints of how the curve can begin to smoothen out as frequency and periodicity of transactions begins to accelerate. Size of transactions thus begin to matter less in that the incoming amount now does not need to be so large as to cover expenses for an unknown duration of time before the next incoming payment; nor do expenses have to be tightly controlled constantly due to the uncertainty of the duration of time before the next payment, and the types of expenses incurred during this unknown period of time. So the boost in decision making — how long it takes to complete a transaction, how often can transactions be completed — enabled by the real time communication facilitated by the mobile phone; plus the attendant immediacy of receiving payment via the same platform is the root of the improvement in the hyperlocal economy and consumption patterns among the informal sector actors. 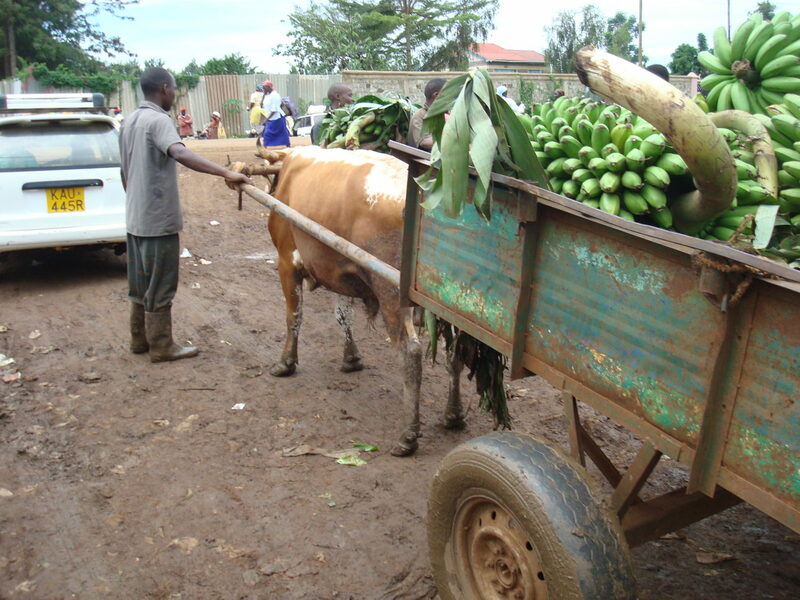 This is why large established traders (with sufficient financial cushion) were heard to observe that both purchasing power and consumption patterns had changed in their market town (Busia, Kenya Jan 2016) in the past 10 years since first the mobile phone, and later, mPesa, were introduced into their operating environment. 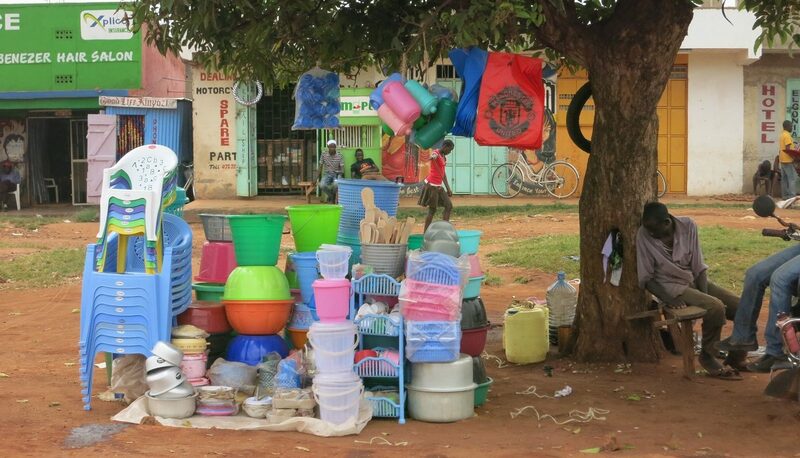 Uncertainty and information asymmetry that have long characterized the fragile and volatile nature of the informal sector operating in inadequately provided environments with unreliable systems and scarce data. In the next chapter we’ll step back and take a broader look at communication, connectivity, and commerce in the informal economy starting with the description of the operating environment’s characteristics regardless of continent. This is part of a newly launched Medium where I will write in detail on economic behaviour and its drivers in the informal economy. Much of it draws upon the original research in the field from 2008-2009 which was shared on the prepaid economy blog. I found that time had passed and increased my understanding and I wanted to explore those discoveries in writing. Much of this is the foundation for recent works on ‘Mama Biashara‘. 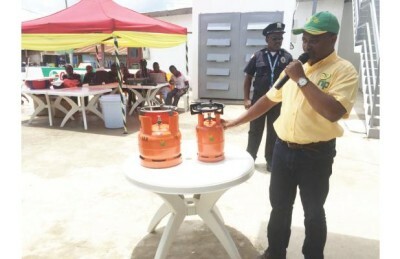 This photograph is taken from a regular news item from a Liberian newspaper announcing the opening of a new petrol station in the town of Ganta. What caught my attention is the size of the LPG cylinders being promoted. On the left is the 6kg and on the right is an even smaller size that I’ve yet to see elsewhere – the 6kg one has been spotted in the lower income side of Jakarta, and in the markets of Abidjan, and Nairobi. What it tells me is that purchasing power in the local market is not only a little less than a major capital city, this is probably a tier 2 city, but also that its a cash intensive market where incomes are more likely to be the volatile cash flows from commercial activities in the informal sector. The lumpsums available for LPG aren’t going to be as large as to afford the standard 13kg size, but it doesn’t preclude people from purchasing these smaller sizes more frequently. That is, we cannot assume total consumption volumes to be less than larger cities where larger sizes are more popular. On the other hand, the micro size on the right seems to hint at the possibility of LPG being more popular than traditional fuels such as kerosene, charcoal, or firewood. These small sizes also signal a fragmented, informal market where small pack sizes and sachets are popular. The most developed nation on the African continent, south of the Sahara desert, is considered to be South Africa with its financial and transportation infrastructure and systems, a legacy from history. In the first decade of the 21st century, the black middle class – known as Black Diamonds in marketer jargon – came into prominence on the back of numerous economic initiatives after the fall of apartheid. The University of Cape Town’s Unilever Institute of Strategic Marketing says there are now 2.6m “black diamonds”, as it calls the black middle class, a 30% increase in less than two years. Included in the definition are working professionals; those who own things such as cars, homes or microwave ovens; university students; and those who merely have the potential to enter these categories. The survey estimates that these black diamonds represent 12% of South Africa’s black adults, and make 180 billion rand a year ($26.2 billion), or 28% of the country’s (and more than half of all black South African) buying power. For some, such as Lawrence Schlemmer, a sociologist in Cape Town, this definition is far too broad to be meaningful. He agrees that numbers are rising fast but argues that they are still tiny. Last year, he says, only 322,000 black South Africans (less than 1% of the black population of 38m) could be deemed “core” middle class, a far cry from 2.6m black diamonds. Still, whatever their size, the buppies are affecting the economy and the political landscape. According to the study‚ those in the middle class have a tendency to drop in and out of poverty. And the size has not actually changed much since 1993 – the year before the fall of apartheid and the election of Nelson Mandela. The study also shows that the South African middle class is much smaller than estimated‚ sitting at around 14.5% of the total population in 2014. Women are more affected by poverty, and even those who manage to climb the ladder may slip down again. “I think we are wasting too much time on the definition of the middle class and the cut off point, it is a sterile debate. 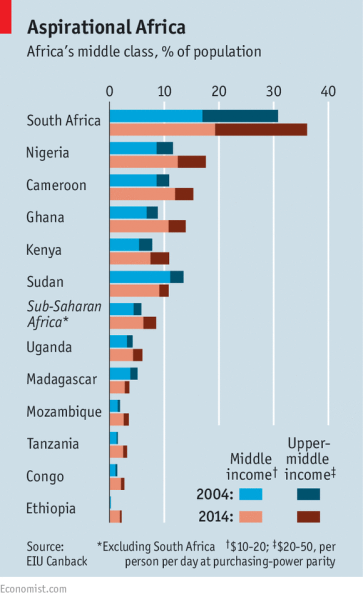 But fixated on wealth, the discussion on middle classes in Africa misses out on the other two pillars of social stratification: social status and political power. As soon as those two are factored in, discussing the “African middle class” as a homogenous entity seems absurd, and so it should. Thinking that what separates the senior civil servant from the street hawker or the country head of a multinational from the shop owner is a matter of daily expenditure amounts to looking at their reality through the wrong end of the telescope: the bigger picture is that they live in different worlds. In the developing world, the formal sector with its white collar jobs populated by university graduates may jostle cheek by jowl with the informal economy’s life lived on the street but that proximity might be on the only thing they have in common. For here lies the rub: the material culture that the notion of “middle class” posits as shared consciousness is articulated to a strong sense of individualism, which is borderline contradictory with the idea of class. All the more reasons for the analysis to consider the representations which members have of themselves as a group and the historical context in which such groups are being shaped. There has, however, been considerable demographic transformation within that band of the middle class, with Africans now outnumbering whites by about two to one, the report said. Factors driving the surge include greater access to credit, improved education levels, BEE and improved economic growth until recently. Transformation of societies is underway, just as the Indian researchers concluded in their analysis. This might be a much larger global trend underway, whose weak signals we’re just beginning to pick up now. I’ll be following up with these musings on the blog. The people with the real problem on their hands are the consumer companies looking to justify entering the African markets, and perhaps that’s a topic to take up in the next article.